This was my my first ever visit to this site and my second dive of the year on a very chilly but calm day back in January. We followed another of the dive guides over on the Finstrokes website which was typically spot on with all the details. We came across one solitary Dogfish shortly after setting off and I snapped a pic of it just in case it turned out to be the only one we saw. Ten minutes later and we were literally finding piles of them! 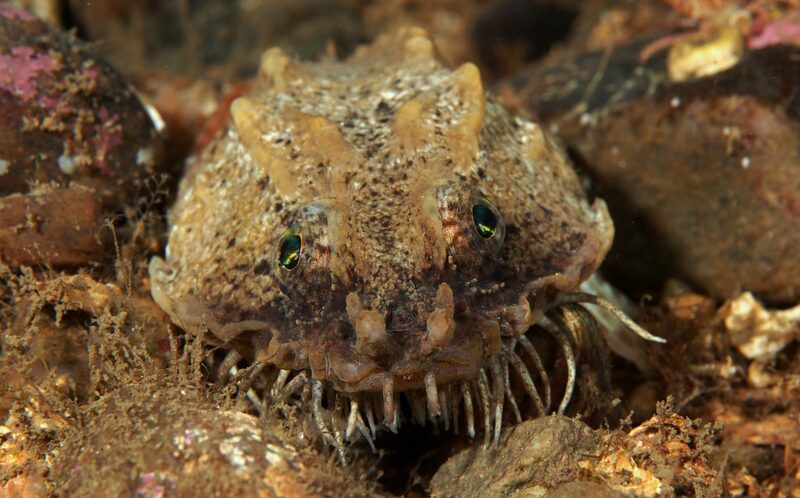 Their little snouts were peeping out from the gaps between the rocks and in other places bodies, tails and heads were visible all jumbled up and jammed between the big boulders that make up the breakwater. And the best thing about Dogfish is that they usually just continue what they’re doing (lying around) and let you snap away! 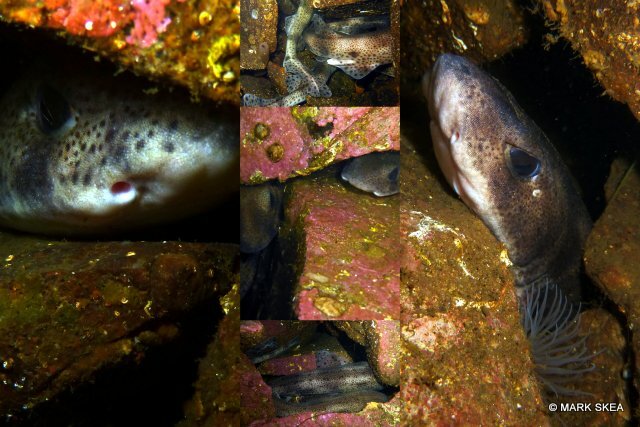 All these Dogfish gathering in one place is of course about making little Dogfish and we spotted one of those later in the year whilst diving at Inverinate in Loch Duich.